With a long Caribbean coastline, Belize, in Central America, resembles the British Isles and West Indian Islands in topography and climate. Apart from the superlative beaches and vast countryside options to explore, downtown Belize is also a treat for the eye with beautiful cathedrals, spiralling towers and wonderful landmarks. Our car rental will go a long way to ensure you spend your holiday in Belize at the most affordable rates and in complete comfort. Despite being the capital city and having an international airport, there is not much to do in Belize if you seek adventure and outdoor activities. However, there are several museums and a zoo in the area. The Ecological Museum in Belize, the Belize Cathedral and the Museum of Arts and Culture are must-visit places in Belize as are the promenades and shopping arcades. Our car hire services help you tour around the Belize City and will help you to make the most important sites a part of your stay. 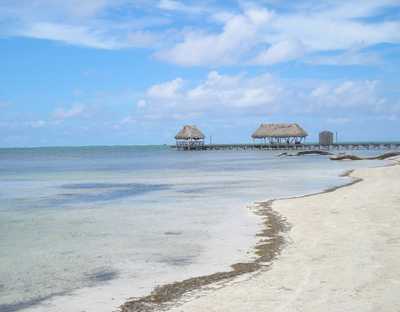 If you’re here on a short visit and want to absorb everything that you can about Belize without spending a lot of time touring the area, Old Belize offers you that chance. Created to prominently display the economic, social and political features of Belize and shed light on the history and traditions of the Mayans, the Old City monument is one of the most popular attractions in downtown Belize City. About 30 miles away from downtown Belize, the Altun Ha is an excavation site and the former Mayan headquarters. The various ruins and artefacts displayed in the area give us valuable insights on the life, occupation, culture and social attributes of the Mayan dynasty. There is a jade treasure of the Mayan sun-god carved with absolute detail to perfection. Our car hire services in Belize can help you tour around the Belize countryside to discover and explore several other excavation sites. The Cave Tubing experience is perfect for nature enthusiasts and adventure aficionados and must not be missed! Book a guide and indulge in cave tubing along the River Sibun in the forests and you’ll never regret it. The blue waters of the rivers flowing through elaborate caves and taverns are absolutely thrilling adventures. However, book an experienced guide before you go. Belize is an attractive place to spend your holidays and touring the country with the help of our car rental services give you an extra edge as you can explore all the sights at your pace and enjoy everything that the country has to offer. Last month, the average car rental length at Belize Airport was 0 days. The average rental car length at Belize Airport is 4 days. The most booked rental car type currently at Belize Airport is cars. Last year, the most booked rental car type at Belize Airport were COMPACT cars. How much does it cost to rent a car at Belize Airport? Last month, the average car rental price was 0 USD. Last year, how much did it cost to rent a car at Belize Airport? Last year, the average car rental price was 271 USD. What is the current average daily price to rent a at Belize Airport? Last month, the average rental price was NAN USD per day. How much did it cost to rent a car at Belize Airport over the past 12 months? Last Year, the average rental price was 68 USD per day. The car rental companies available at Belize Airport are: Alamo, National, Enterprise, Jabiru.